“It’s awful, but it’s not fatal.” That’s the opening line, and recurring motif, of a letter comedian Patton Oswalt posted on Facebook yesterday, on the one-year anniversary of the death of his wife, true-crime writer Michelle McNamara. Over the last 12 months, Oswalt has been open about his grieving process: the pain, the sorrow, and the driving need to step up and be a suddenly single parent to his daughter, Alice. 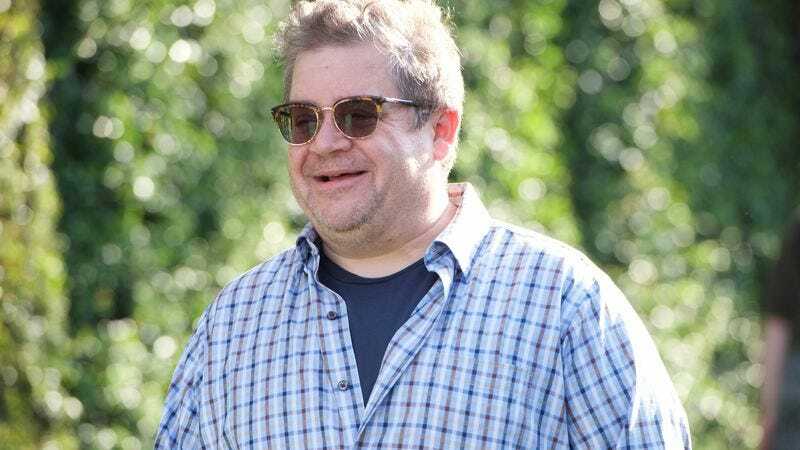 Writing “from exactly one year into this shadow-slog,” Oswalt’s most recent post is an examination of the agony and necessity of moving on, of surviving when the person who “made us live better in the world” has not. It’s a missive, not about wallowing in denial, but in finding the next steps—in this case, removing his wedding ring, taking his daughter out for ice cream, and buying her some bugs that McNamara apparently would have hated. Oswalt’s writing—which aptly captures the moment when the griever realizes they’re just going to have to keep going, when someone they love will not—deserves more than to be quoted in piecemeal, though; you can read it for yourself right here.